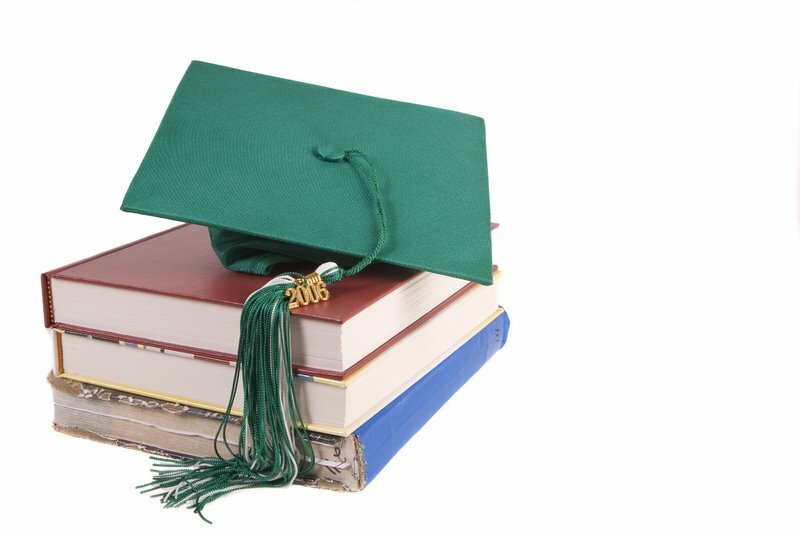 Three years ago,I wrote a blog called Landslide chronicling the conflicting emotions of seeing my daughter graduate and prepare to go off to college. It was bittersweet to write; a kaleidoscope of emotions ranging from pride and anticipation to one of pending separation where the phrase “coming home” becomes temporary. She’s handled herself well and has worked very hard to graduate this December, thereby finishing her Public Relations degree one semester early. But there was never a feeling of complete finality that there is now as her brother (and our youngest) begins that same journey. I loved spending more time with him after she went off to school, even though in typical teenage boy fashion he preferred to retreat to his mancave in our bonus room; a digital and music superdome filled with every possible video game console, Blu-Ray for streaming episodes of Breaking Bad, an electronic keyboard, a beginner’s drum set (both instruments that he taught himself), double chocolate muffins and a never ending gallon of “Arnie Palm”. He’ll make that same walk to Pomp and Circumstance tonight, and I’ll look for him in the sea of white and green. He bears a passable (and much taller) resemblance to Daniel Radcliffe right down to the scar on his forehead. His scar splits his left eyebrow in two-the result of a nasty fall when he was not quite 3 years old. He’s very smart in a casual yet confident way. I’ve often said that I learn more from him when watching a documentary than I do from the narrator. Sometimes his freakish memory for facts and his love of debate can be annoying, like when he wants specific and defend-able reasons for why he should clean his room. He also expects others to be as smart as he. His sister laughed at me when I called him an intellectual snob, mentioning something about apples and trees. She should talk. She has my identical skill sets and her father’s exact irreverent personality and stubborn streak. He’s as funny as he is smart and he really “gets” people. When he first started focusing on a possible political science major, he made it clear that he wanted to learn more than just policy. He wanted to know what makes people tick or what makes countries tick. So, he will enter his freshman year at his new college as an International Relations major. It requires a semester abroad so this separation will seem more permanent to me. It also requires a minor in a language. I should probably study with Rosetta Stone once he makes his choice. He’s thinking about Italian. È la tua stanza è pulita? A job shadow at the FBI has steered him in the direction of a possible FBI/CIA career. The funny thing is that I’ve told him since he was little that he should be a “spy”. He used to love to sneak from room to room as quietly as possible, trying to see how long he could remain undiscovered. (Of course, that backfired on him when he overheard us discussing where to hide the Easter candy.) I think I gave birth to Jason Bourne. He’s become a very different person in many ways as he struggles for his adult independence. He was voted Most Changed in the high school yearbook which can be attributed to the gain of six inches in height and the loss of 20 pounds of “baby fat”. His round face with braces has been replaced by a long jawline and deep thinking eyes. (He still has the longest lashes I’ve ever seen.) He went from hating music to being a connoisseur of classic rock and an avid Beatles fan. His most wonderful memory of a recent trip to England was crossing Abbey Road with three friends. He was George. I’m sailing away. Set an open course for the virgin sea. Because I’ve got to be free. Free to face the life that’s ahead of me. On board I’m the captain, so climb aboard. We’ll search for tomorrow on every shore. As he rounds this corner into early adulthood, he wants to be called by his real name and not his nickname. This manchild is looking to sail away in more ways than one. I just hope he cleans his room first. Last year, I found a poem by Kahlil Gibran called “On Children”. It really touched me and I actually bought a print and keep a framed copy in my office. I’d like to offer it to all the parents out there, especially to my dear friend Peggy and those whose sons and daughters are part of the high school or college Class of 2012. In the end, the love you take is equal to the love you make. In my life, I love you more. I’m not one of those fans who thought there was anything super fishy about the AI2 final results of Clay vs Ruben other than simply not enough phone lines to allow all the votes to get through. It was the same number of lines as the year before when there were no issues. The following year, they had three phone lines per finalist and the total number of votes was still less than Season 2. It was just one of those things. 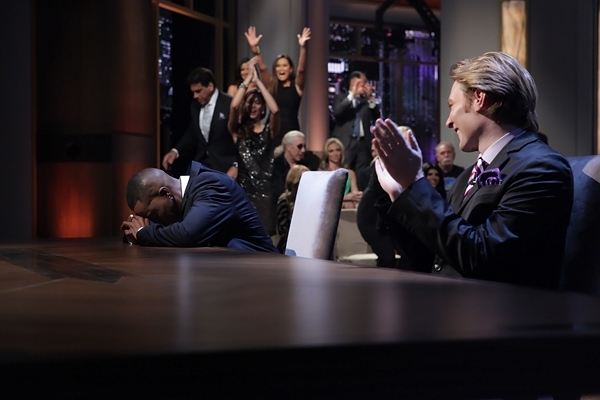 *I wonder why this picture shows that the vast majority of the non finalists are staring down in silent protest or anger when Arsenio Hall’s name was announced. *I wonder why five have been bold enough to immediately come forward and say they were shocked and Clay was robbed. *I wonder why another stated on a radio broadcast a few weeks ago that Clay should win unless the fix was in. Why even bring something like that up? *I wonder why they never showed the post task boardroom where, according to contestant Adam Carolla's podcast of 5/21, Trump polled the contestants about who should win and every person said Clay. Even those on Arsenio's team. *I wonder if the multibillion dollar deal reported by the LA Times that Magic Johnson signed for a new network with the parent company of NBC (same network as Apprentice) may have nudged the producers of this show in a certain direction. Not in a Quiz Show way mind you but more in a “radio payola is illegal” wink wink sort of way. And I’m still waiting for a journalist with balls to ask about it. *I wonder the same as a few other bloggers/recappers as to why Lisa Lampanelli can claim she’s a good friend of Clay’s but can’t distinguish between a nightclub filled with her fans and a nationally televised broadcast in terms of what is appropriate material and what simply lacks class. I wonder why super project manager Arsenio allowed it at a charity event. (Not to mention there were children in the audience.) I doubt her disrespectful vulgarity was worth $10,000 to Clay’s family sitting there watching the broadcast last night. *I wonder why NBC saw fit to air Lisa’s tasteless gay joke at Clay’s expense given that they had plenty of other footage. Poor GLSEN. You got some great exposure on this show for your efforts in anti gay bullying with the “what not to do” provided by celebrities . *I wonder just how Arsenio's Hollywood Rolodex contains real friends when you figure he raised no money in the guidebook challenge and subtracting donations from his teammates (including $50,000 from Lampanelli and cash from the Andretti family) he raised less than $100,000 for the final task. 20 years in the business, eh? Clay's grassroots campaign raised over $300,000 in 24 hours. *I wonder if Trump thinks nobody owns a calculator when he claims Arsenio was “hired” because he raised the most money when in fact, if you subtract the amount he won for being “hired”, not only did Clay raise more but so did Paul and Dee. *I wonder if Trump realized how much he screwed Patricia Velasquez and her very important charity (Wayuu Taya Foundation), not just that one time but probably for a long time because she tapped into all her donors only to see her money go elsewhere. Patricia should have cried, Trump seems to hand over $10,000 for crocodile tears. Such a dignified, classy woman. *I wonder if Trump realizes how bad his spin is when he says Arsenio won by 2 tasks to 1, conveniently leaving out the final task that Clay clearly won. Then it would be 2-1 for both of them and just like a final exam, the final task should have more weight. Not to mention Lisa won 2 tasks before the final and that didn’t seem to matter. *I wonder what Eric, Ivanka and Don, Jr. would have said if asked for their true opinion outside of parental or corporate influence. I know marketing well enough to recognize true spin. What their dad is doing isn’t even good spin. *I wonder if Clay’s truly impressive appearances on MSNBC, CNN and Face the Nation were too impressive. *I wonder if Clay knew he had no chance. Part of me wishes he did know and just worked very hard because he knows no other way but to give his all. *I wonder if Arsenio knows deep down that he coasted to a win he didn’t earn. I wonder if he looks at the picture at the top of this blog and knows that many others who played with him know it too. He seems so desperate for a comeback that he literally sold his soul to the devil in some rather gag worthy television moments. *I wonder if it is too petty to say that I think Clay is easily funnier than Arsenio. Look, I know this is just a reality show but there’s more at stake here than just a mirror ball trophy or an oppressive record deal. Patricia can’t finish a school for her project and $250,000 would help several hundred of Clay’s children. $250,000 is a rounding error for what Magic Johnson Foundation has earned in 20 years. But when it came to the finals, I think the charities were not even considered by those making the decision. I love marketing. I’ve spent the last 15+ years of my career in marketing or business strategy roles. Every year I volunteer to mentor second year MBA students in their final marketing practicum projects. I guess you could say they are my apprentices. Ideally, I should love this show but I don’t like it when I feel duped or see bad marketing rewarded for the sake of good television (or something else entirely) in such a transparent way. And I don’t like it when a person who claims to be a great businessman makes a decision based on bad business performance and then tries to excuse it in a way that insults my intelligence. If you only need third grade math to prove the spin wrong, that means the issue you’re spinning is too weak to stand on its own merit. It’s interesting that the last episode was called Transparency on the NBC site. Because I can see right through you, Trump. Finally, I wonder if the members of Vy Higgensen’s Gospel for Teens choir (great job, guys) realized they were in the presence of vocal greatness last night during the performance of Lean on Me. If you watch them look at Clay for the last minute of this video, I think they did. But before you watch, please donate to the National Inclusion Project at inclusionproject.org and look for information on the site describing their upcoming annual gala scheduled for October 20th in Washington, DC. I've never left a gala without crying at least once. Have you ever looked at a colleague in a meeting or a somewhat familiar face at a party and formed an opinion despite having never met them? This opinion probably developed over time and included all kinds of things about their personality, their intelligence, their skills, maybe even their character. All of this is based only on casual encounters, comments from others and your own filters. Some of this may include certain prejudices that you didn't know you had based on half truths passed along as fact. And yet, when you finally get to meet this person and see them for who they really are, you could be stunned that they are the opposite of what you had heard was "gospel". Sort of how pretty women in business have to try harder. Or how gay pop singers who came into the public eye through a TV competition have to overcome all kinds of preconceived notions about..., well just about everything. It's been an interesting few months to be a fan of Clay Aiken, culminating this week in watching him go toe-to-toe with some professional political pundits on many major networks including CNN, MSNBC and just this morning on CBS' Face the Nation. He stood up against the nonsense spewed by professional bigot Tony Perkins on Face The Nation and some guy on Piers Morgan show the other night that resembled a modern day Archie Bunker in both appearance and position. Clay was articulate, prepared and knowledgeable. THIS was the face of equality, an American citizen just asking for the same rights as those sharing the screen with him. 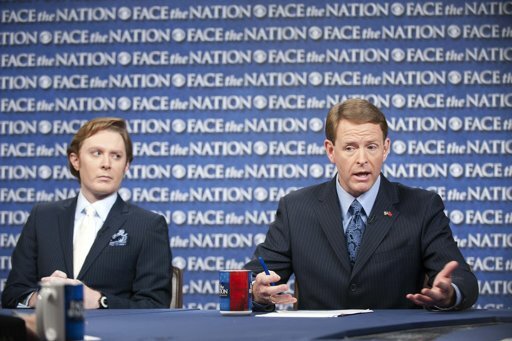 The tweets that followed after @FacetheNation was aired offered a sense of both pride and amusement. Pre-show eye rolls in the twitterverse turned to praise and admiration, often from the same skeptics. The long time fans sat back with a satisfied smile that comes from knowing the truth about someone. So, how did we get here? It all kind of started when the cast for this season of Celebrity Apprentice was announced at the beginning of the year. The show brought two things to the forefront. The first was Clay finally taking to his Twitter and showing his funny side. The second was the predictable posturing from colleagues, friends and bloggers about how Clay was going to be eaten alive in the first few weeks. What they failed to realize is that not only is this man smart, savvy and skilled but he's also very determined and when he is focused on something important-there is no stopping him. Many celebrities go on the show for the exposure to help their careers or to support a charity. Clay went on this show to support his charity, as in the one he started and originally bore his name. Entertaining is what Clay does. The National Inclusion Project is who Clay is. I think there are some bloggers and even current contestants who still don't understand that. As he is poised to potentially become the Celebrity Apprentice, the rest of us observed the changes in perception with the knowledge that we knew all along what this man is capable of. If I used emoticons, I would have found one that said I told you so. As the weeks have gone by, it's been fascinating to watch opinions change. The same sites that mocked him are predicting him to be a finalist or even win. (They are in the Final 3 as I type this.) He's a natural on Twitter (just like I knew he would be) but he's used it in a very strategic way. He's making connections with people like Brooke Baldwin on CNN which ultimately put him on her show and probably led to the other political appearances this week. But what has been really fascinating is watching him take on the idiots. These people who hide behind the quasi anonymity of a keyboard and don't think twice about showing 30,000 people just how ignorant and bigoted they are as they hurl insults and gay slams his way. The amusing part is watching Clay swat these online morons as easily as a clean-up hitter creams a hanging curveball. (Sorry for the sports reference, Clay.) The man really should try a side business as a heckler consultant to stand up comedians. Fifty2Thirty Comebacks, LLC? When asked why bother with them, he commented that he wants to expose their stupidity. Musically, I didn't think he could surprise me. He always had the best male voice out there and one of the best overall voices. Even when I didn't like the genre he chose for an album, I could never deny the talent. I always thought he had more in him, he teases us with it every now and then. When he compares himself to Perry Como, I want to stand on my chair and yell "Wrong Perry!" Clay, to me, has always possessed the range of Steve Perry, former frontman to Journey. Steve sang ballads, pop and pop/rock. Clay shows all of these sides in concert. But that knowledge still didn't prepare me for the Clay I heard on the new album, Dee Does Broadway. 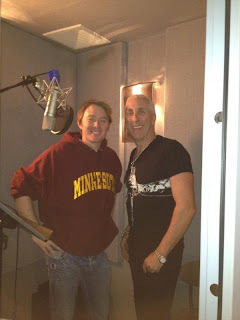 Dee Snider of Twisted Sister fame just released an album of Broadway songs done in metal style and he invited Clay to duet on Luck Be a Lady from Guys and Dolls. The song is the best reviewed track on the album with article after article citing Clay's vocals. His performance has been compared to the lead singers of Black Sabbath and Judas Priest. That's right folks, Ozzie Osbourne and Rob Halford. He reached for something more and exceeded all expectations. Paging Mark Platt! If you are still looking to remake the film of Jesus Christ Superstar, look no further than Clay Aiken. Nan said today that this is a rather strange convergence of things but that it feels right. And the more I thought about it, the more I realized that Clay's biggest successes will never be linear and obvious but rather circular and perhaps only obvious after the fact. Maybe a PBS special of crooning standards was too linear and too obvious. Sometimes obvious may not be interesting enough to a public with the attention span of a 3 year old. Today, he is poised to possibly win a very tough, business based reality show run by a man who couldn't be farther away politically than Clay's positions. Yet, this show caused him to use his voice via Twitter, which opened up new contacts, which likely resulted in his invited political appearance on CNN. And the first domino fell. As I sit here staring at my computer screen with my biologically unnatural blue eyes staring back at me (are you listening Tony Perkins), I realized that 2 plus 2 will never equal 4 when it comes to Clay's career. There are just too many facets to him and too many perceptions to change. But perceptions can change in the right forums and he's finding those forums. Actually, they seem to be finding him now. I plan on watching him in his more traditional place on the concert stage when he tours this fall and winter. I know that I will enjoy that rare combination of vocal talent and comedic improv that many saw during Apprentice. His concerts provide music for the soul and laughter for the smile. But even if Clay's career more closely resembles an equation of 2 plus 2 equals the square root of a mango, success will taste that much sweeter. You've heard of the play by John Ford Noonan, A Couple of White Chicks Sitting Around Talking -- well, at ConCLAYve -- we're not all white and we're not all chicks -- but we're definitely talking -- about family, gardening, politics, music, theater, love, life and sometimes Clay Aiken. Join us.